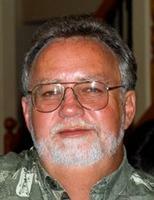 Lorenzo “Ren” Delbert Smith, 60, was called home by his Heavenly Father on April 7, 2012, in Idaho Falls, Idaho. He has now been reunited with his father, Vern and son, Charles that he missed so very much. Ren was born June 2, 1951, in Ashton, Idaho, to his loving parents, Lila Marie Shelton Smith and Vernon Charles Smith. Ren attended school in Idaho Falls, graduating from Idaho Falls HIgh school, where he participated in IF Club, Dance Club, Football, Track and JV Basketball. It was during his high school years he met the love of his life, Mary Catherine Moriarty. They were married on June 20, 1968. Together Mary and Ren reared three sons and the resulting strength of that family serves as their greatest achievement. Besides being known for his love of the outdoors, hunting trophy bull elk and fishing for giant trout on Henry’s Lake, his greatest joy in life was spending time doing these things with his “babies.” Ren enjoyed many things, but nothing was more important to him than serving as the patriarch of the Smith family and ensuring that all the Smith children and grandchildren were taken care of to his expectations. Ren had a great sense of humor and a laugh that was priceless. Ren taught his children the true meaning of family and demonstrated that family always comes first. He enjoyed spending time at his cabin in Island Park. Second only to the love of his family and friends was his love for his pets, and he was rarely seen without his chocolate lab “Chip”. Ren’s ability to enjoy life was infectious and will result in him being missed by many. In 1973, Ren began working at the Idaho National Laboratory where he was still employed at the time of his death. He was very proud of his accomplishments during his career but was looking forward to retirement. As a result of his career, he made many life-long treasured friendships. Ren was known as a “no-nonsense, get-it-done right” guy in his dealings, but his family and close friends knew him as the gentle giant he was. Survivors include his loving wife of almost 44 years, Mary Smith; his mother, Lila Smith; children, Patrick Todd (Kim) Smith and Christopher Shawn (Chyanne) Smith; his “honorary” son, Tyler Pettingill (Andi), and a sister, Trina Pettingill, all of Idaho Falls, ID. Ren was adored by 11 grandchildren, numerous nephews, and other family members who constantly surrounded him. He was preceded in death by his father, Vernon Smith, his son Charles Smith, and his brother Darwin Smith. Click here to see Ren's last Profile entry.